We need help reacting to something. 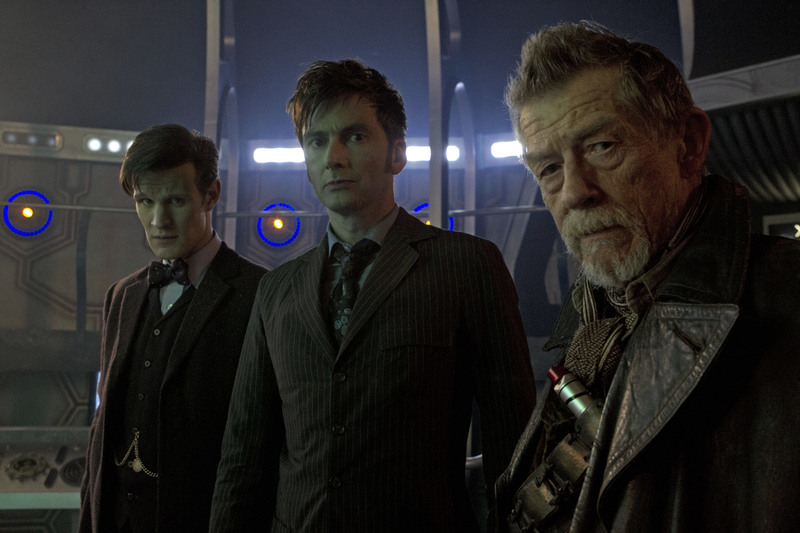 Boy, none of us here really know what to make of these new promotional images for the upcoming “Day of The Doctor.” On the one hand — David Tennant and Matt Smith! More Doctor Who! 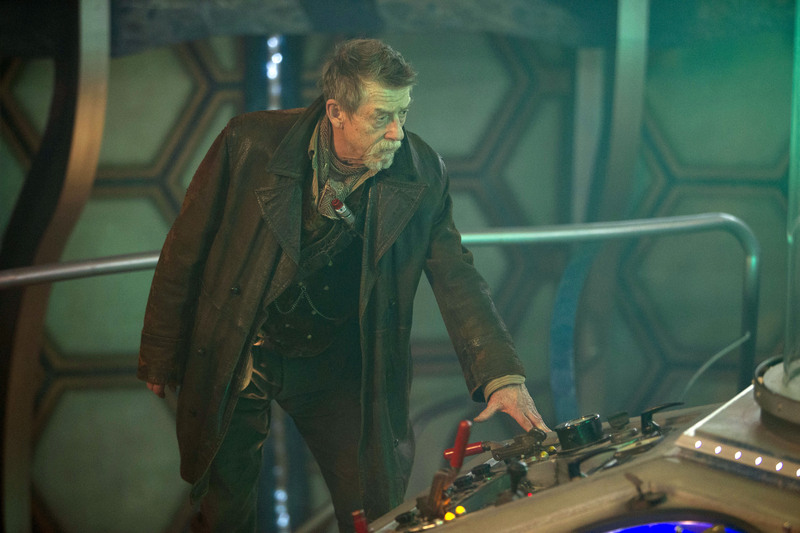 On the other hand, John Hurt is touching the TARDIS and this makes us feel very, very strange. Guess we’ll just have to wait until November 23rd to see more. See? There he is touching it with his hands and everything. 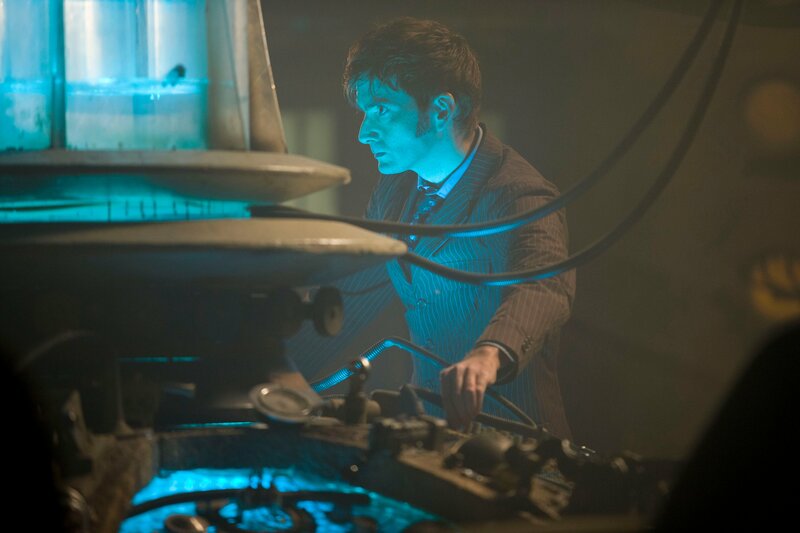 We still don’t know who he’s technically supposed to be, either, except that he’s not allowed to call himself the Doctor, so you’ll forgive us if we’re a little protective of the TARDIS given the circumstances. But so is Tennant, so that’s pretty great. Gosh, we missed his angry “don’t touch my stuff” face. 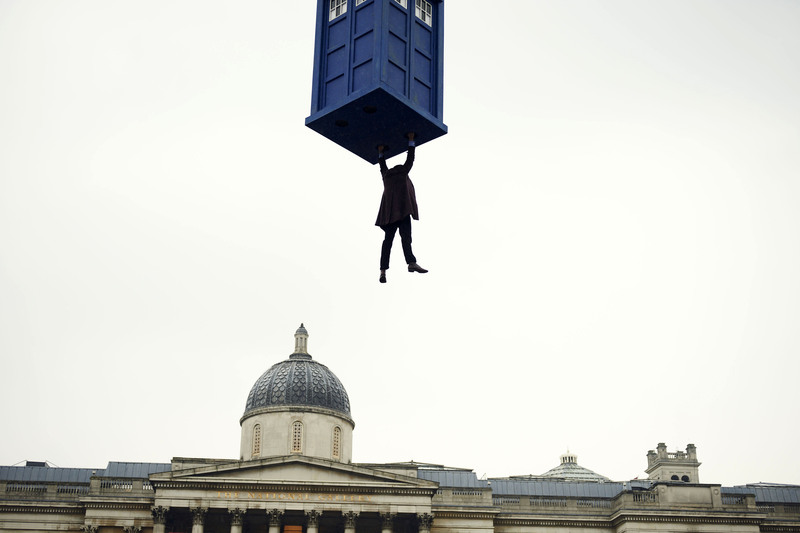 Meanwhile, Matt Smith is… err, doing his own thing. 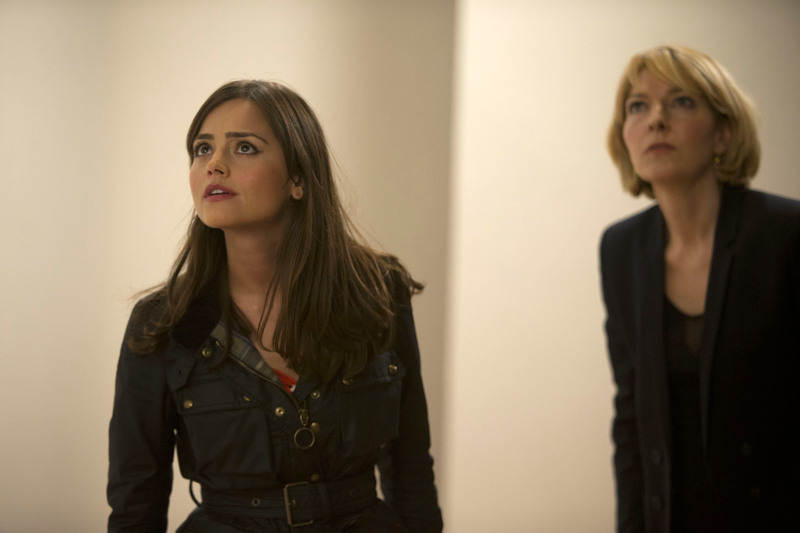 And finally, we’ve got Jenna Coleman and Jemma Redgrave. If you look at the pictures the way we’ve laid them out here, it sort of looks like she’s judging the heck out of Smith dangling above her. Yeah, we feel that.